Description: This all day event is held late summer/early fall. 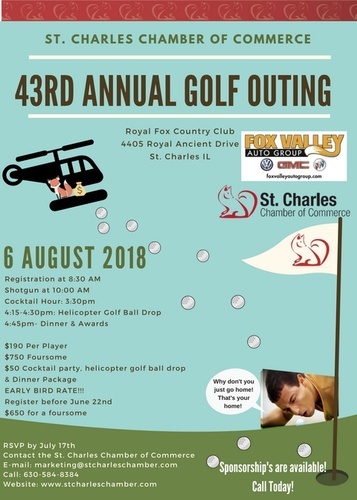 One of the Chamber’s major fundraiser offers brunch, goody bags, prizes, golf, dinner, raffles, awards, and presenting a Helicopter Golf Ball Drop! Putting Green, Hole, Golf Cart, and other sponsorship’s are available as this event provides a great opportunity to network with Chamber business owners.